Simply Wonderful! Beautifully Updated! Nice Large Rooms*Cathedral Ceilings in Great Rm/Kitchen/Dining! Stainless Appliances*Easy Care Wood Laminate Flooring*Oversized Bedrms with Ceiling Fans/Lighting*Master Bath*Awesome Yard w. Oversized Deck/Pool for Outdoor Fun! Spacious 2 Car Garage w. Openers*Decorative Brick Wall with Flue for Wood Stove*Large Family/Rec Rm*Community Clubhouse/Pool/Walking Trails/Tennis/Basketball*Nice Cul-de-sac Street*One Year Home Warranty Included! Shows Great! Ready to Move In and Enjoy! 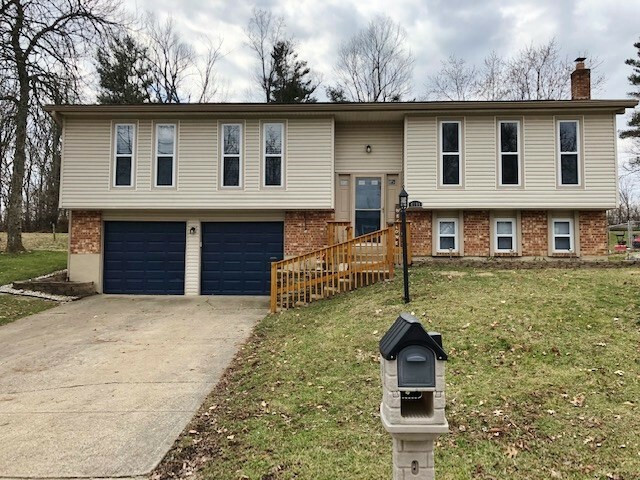 Minutes to Florence/Crestview Hills Shopping/Restaurants!